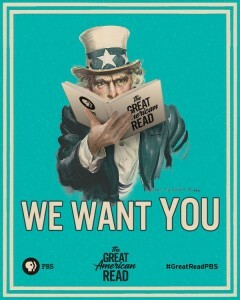 Reminder – Great American Read (PBS)! You can do the same thing via Twitter—just add #VOTEOutlander to one of your tweets that day for another vote. Click here for a list of hashtags for all of the 100 book finalists (PDF format). Each of the 100 finalist books in the Great American Read has an assigned toll-free number. To vote for OUTLANDER, dial (855) 443-6574 (U.S.A., U.S. territories, and Canada only). 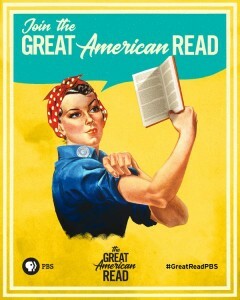 Visit the PBS voting webpage for the Great American Read where you can vote for multiple favorite books each day by pointing and clicking. (You will need to log in to the PBS website to vote using your account, by email address, or using your Facebook account login). Scroll down and click on a book, such as OUTLANDER, and select all your favorites. Note that after choosing your favorite book(s) you must click the Confirm button for your votes to be submitted and counted. You will asked to log in if you haven’t already. AND THANK YOU VERY MUCH INDEED!! !